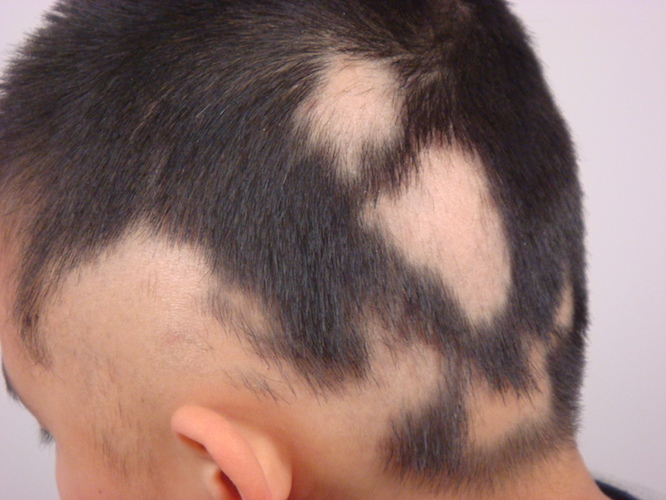 Alopecia areata is a type of ‘patchy’ hair loss. 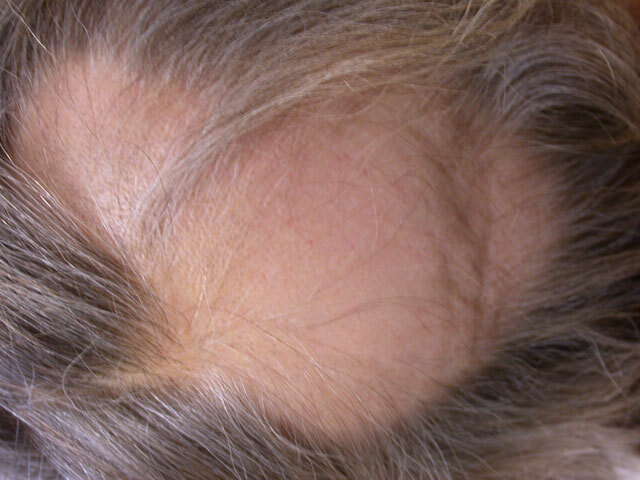 It typically occurs quite rapidly and causes patches of baldness to appear on the scalp. 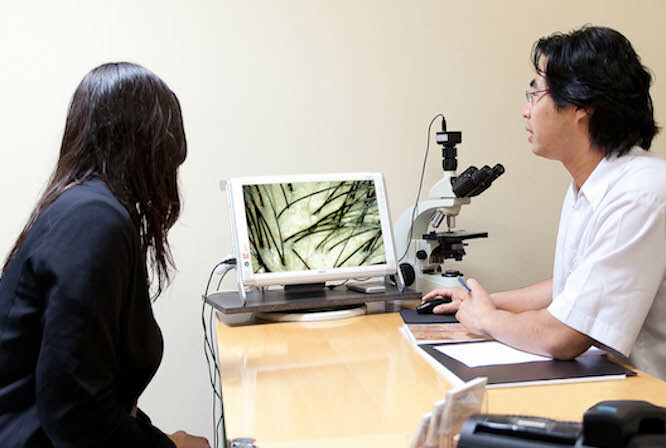 We most commonly find young children and teenagers suffering from Alopecia areata; however, we have also treated numerous cases affecting adult individuals. 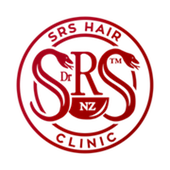 At SRS Hair Clinic, we’ve seen our fair share of cases. We’re here to help. There are different types of alopecia, with the most common form being one or more patches of hair loss on the scalp. 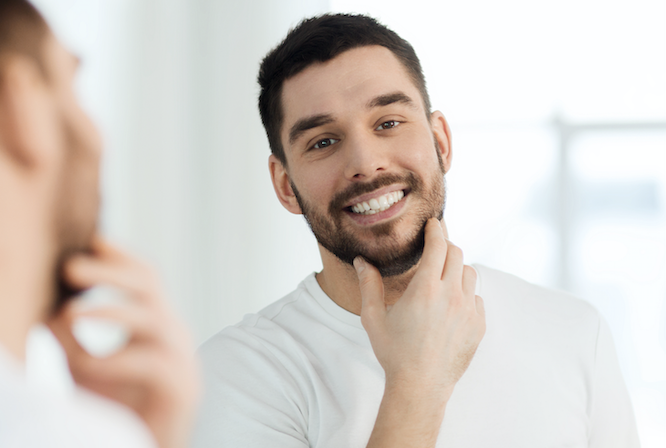 Symptoms of alopecia may also be localised to other regions, however, such as in beard hair – where round or oval-shaped patches of no hair growth are visible amidst the normal growth. Occasionally, we also see people with a condition known as Alopecia totalis, where complete hair loss occurs over the entire scalp. Even less frequently, a condition known as Alopecia universalis may arise, which results in hair loss throughout the whole body. The true cause of Alopecia areata is still unknown, though evidence suggests that it is caused by an abnormality within the immune system that causes a misdirected auto-immune response to occur. What this means is that the body’s own immune system becomes self-destructive and consequently begins to attack certain tissues of the body. In this case, the hair follicles come under attack, causing disruption to normal hair formation and consequent hair loss. Scientific biopsies of affected scalp tissue show the presence of white blood cells in the hair follicles. These cells are not normally found in this area, suggesting some involvement of the immune system. Alopecia areata is not contagious. After 30 years of treating a broad range of hair loss signs and symptoms, we have found that causes of Alopecia areata are often related to certain hereditary factors across several generations of family members. In many cases, we may find that the client has one or several family members that have also suffered from patchy hair loss in the past. With such cases being relatively common, it appears that genetic inclination is a major contributing factor towards a person’s development of Alopecia areata. Many of our cases show that people affected by Alopecia areata are often also affected by other auto-immune conditions such as allergic reactions, psoriasis, vitiligo, thyroid problems, rheumatic fever or arthritis. Such immune disorders can contribute to the overall vulnerability of an individual’s immune system, and therefore any extra stresses the body is exposed to may develop and be expressed as visible signs of hair loss. It is common for most patients to trace the first signs of their Alopecia areata back to a particularly stressful event in their lives, after which it would tend to develop further over time as more stressful events arose. Of course, nearly everybody is affected by stress or traumatic events at certain times in life, but it appears that for sufferers of Alopecia areata, their immune system is more prone to triggering the production of antibodies. This makes them more vulnerable to stress than others in the general population. There appears to be a correlation between the development of Alopecia areata and exposure to harmful chemicals or unintentional chemical poisoning. An example of how this might occur is if an individual is regularly in contact with chemically-sprayed farmland, handles produce harvested form this land and/or consumes chemically-sprayed products. 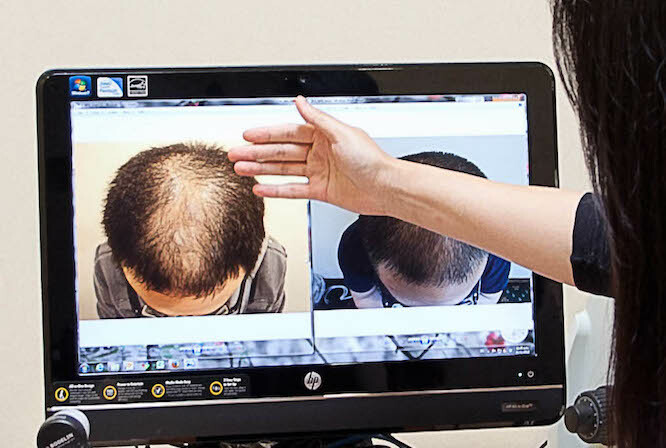 Extended exposure to these chemicals may have an impact on the overall vulnerability of a person’s immune system, which may make them more susceptible to developing Alopecia areata at some stage in their life. When treating clients suffering from Alopecia areata, we make sure to collect relevant information regarding their home and work environment to determine whether these harbour any possible sources of contamination that could be contributing to their condition.